Ther recipe from my archive. Drain liquid from can, remove bones and mash fish with fork. 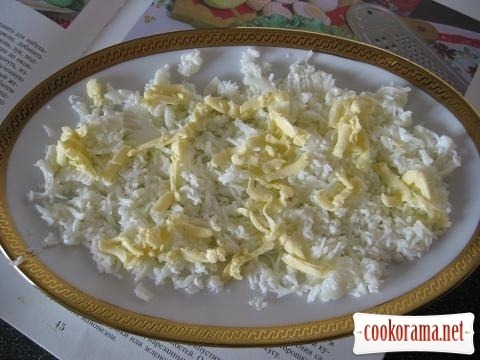 Grate cheese and egg whites. 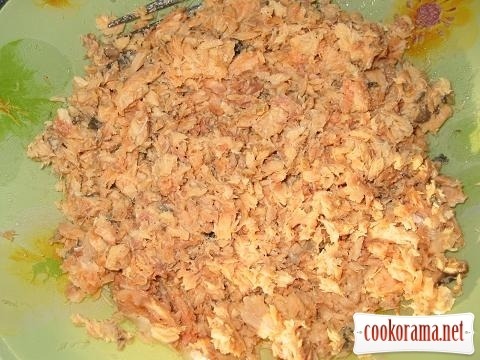 White, grated butter, cheese, pink salmon, mayonnaise. 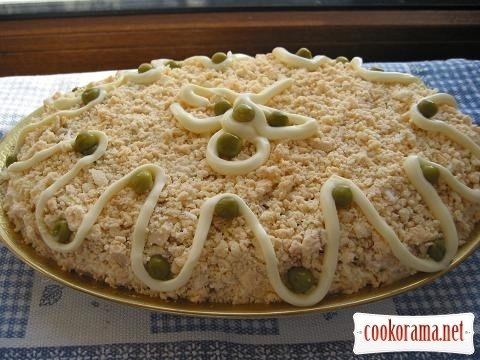 White, butter, cheese, pink salmon, mayonnaise, press layers with fork a bit. 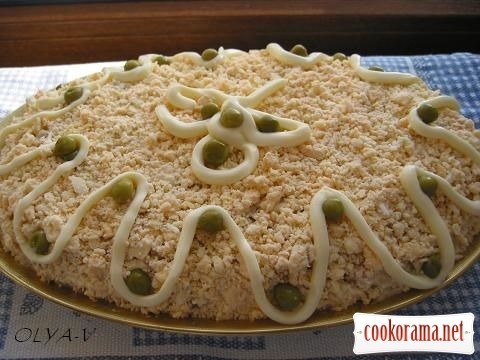 Top salad with grated yolk, decorate as you wish, put in the fridge for few hours. Very tasty and gentle salad. Top of recipe "Salad "Mimosa""
Recipes, Fish salads, Salad "Mimosa"